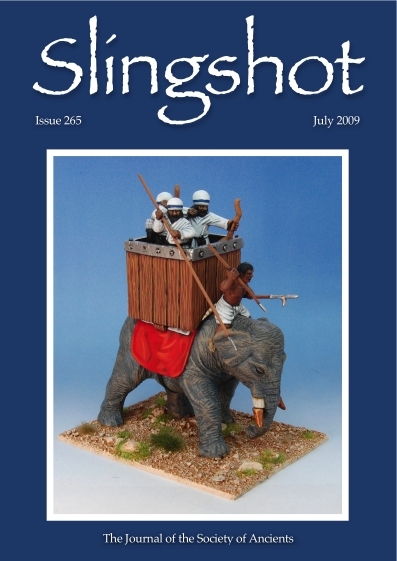 The latest issue of Slingshot is 265, publishing date July 2009. The next issue will be the September issue. 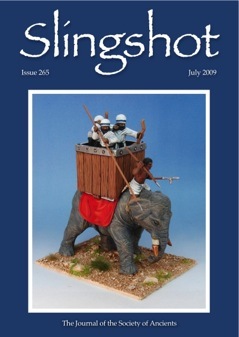 The contents of Slingshot 265 are as follows. For games articles, I've indicated the relevant rule set where it's not immediately obvious from the title; with historical articles I've tried to indicate period if a similar issue applies.